I went to Mujigae just yesterday with my fellow friends, i went there around 11 or lunch time. 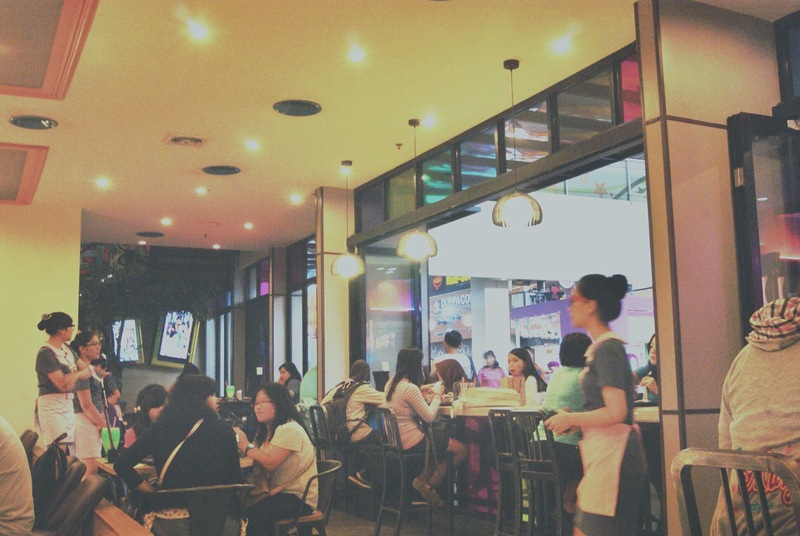 I am fortunate enough that day because there’s enough free space for us, thingking about weekend usually restaurants are full, and yes just a minutes after we sat, there are a long queue in front of the restaurant. 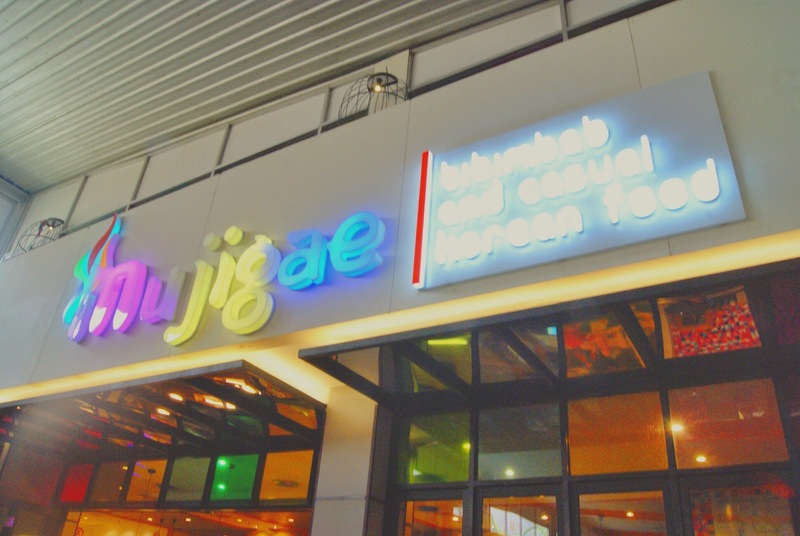 I do believe that some of you might be familiar with Mujigae brand because they’re already opened it’s store in Jakarta, BSD, Bekasi, Depok, and finally the new kid on the block, yes Bogor !!! Mujigae open it’s store at Botani Square, the hippest mall in Bogor and the nearest one from Bogor toll exit just 5 minutes drive away. Mujigae have been the newest hype in Bogor and me and my friends are going to prove that hippest vibe. 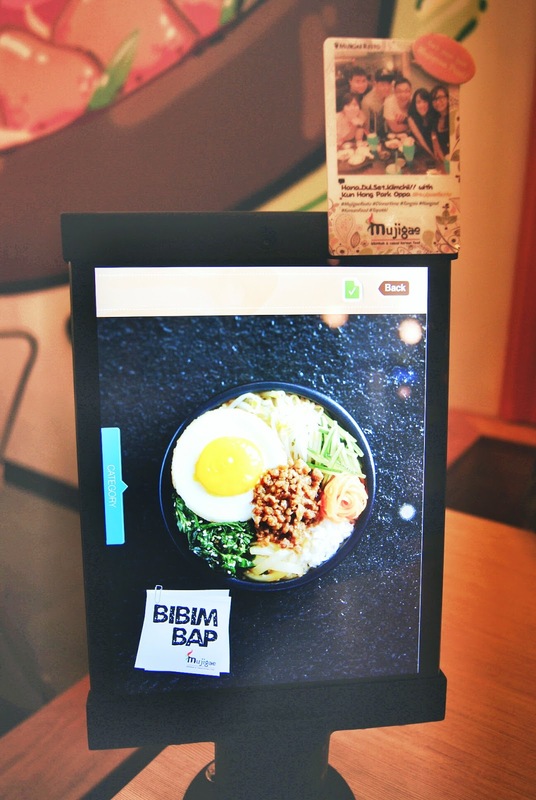 Talking about the concept of Mujigae, not to mention that i am totally in love with it, i love the modern-ish Korean Touch of the interior, there’s cute mural painting, and i love the idea that Mujigae using the gadget and application for menu book and order. 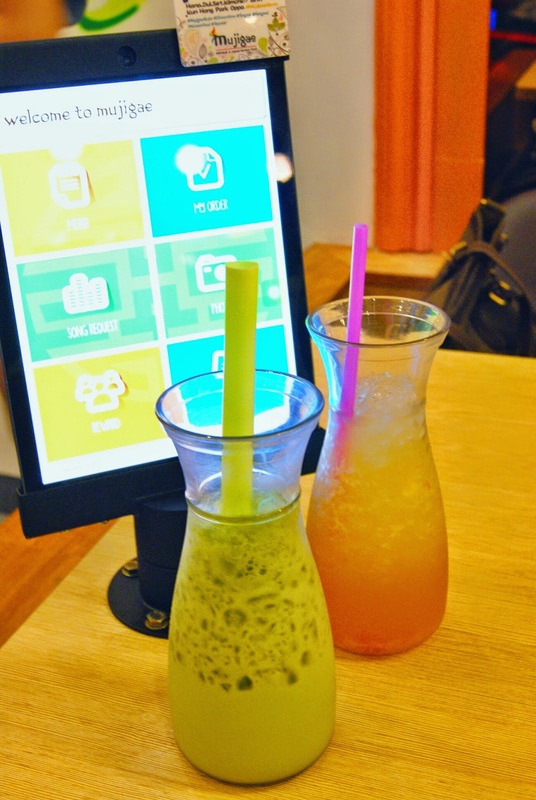 We can simply click the menu that we want to order and add the amount of order, and then we can simply post the order and will directly posted on their system and direct to the kitchen to simplified the service. We can also request for music video from the gadget, and there’s various type of game in that gadget so we can playing game while waiting the order come. Mujigae was totally full that day, and beside of that the lighting is yellowish and it kinda bit tricky to capture photo because all of your photo will turns out yellowish, so i’m not taking many photo that day, only the nearest thing from where i seat. To be honest, i’m not a big fan of Japanese and Korean food, but there’s also a room for comfort food. 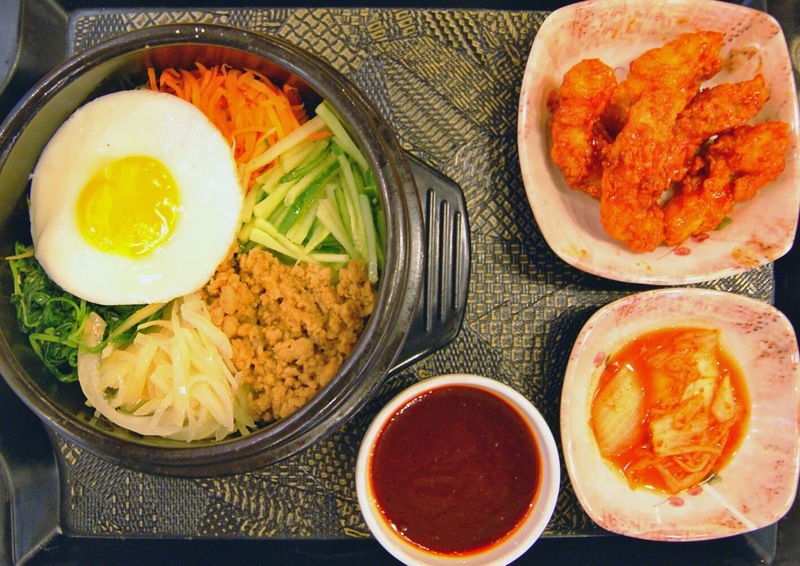 I kind of interest with the Bibimbap, and my friend order Bulgogi package No.3 and Chicken Topokki. 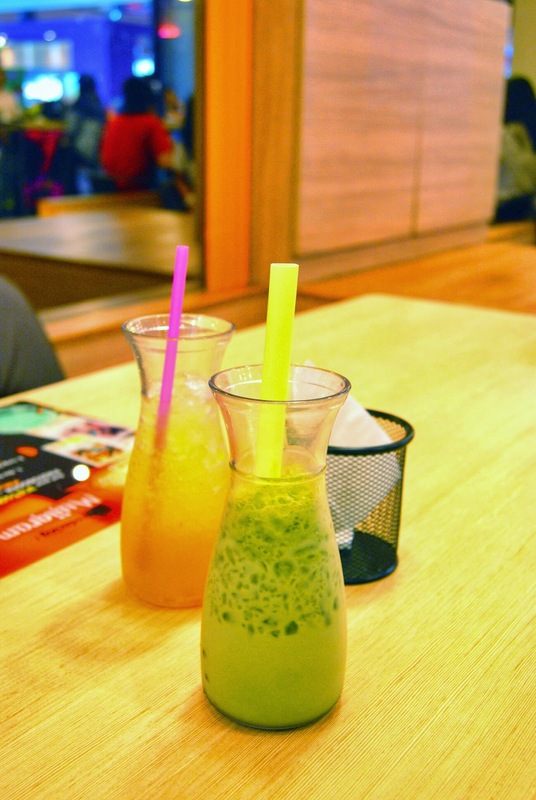 For the drinks, we order Citrus Honey with Tea, Matcha Milk tea with Asuka red bean, and Banana Milk with Matcha Pudding. For the dessert we order Pat Bing Su for sharing. 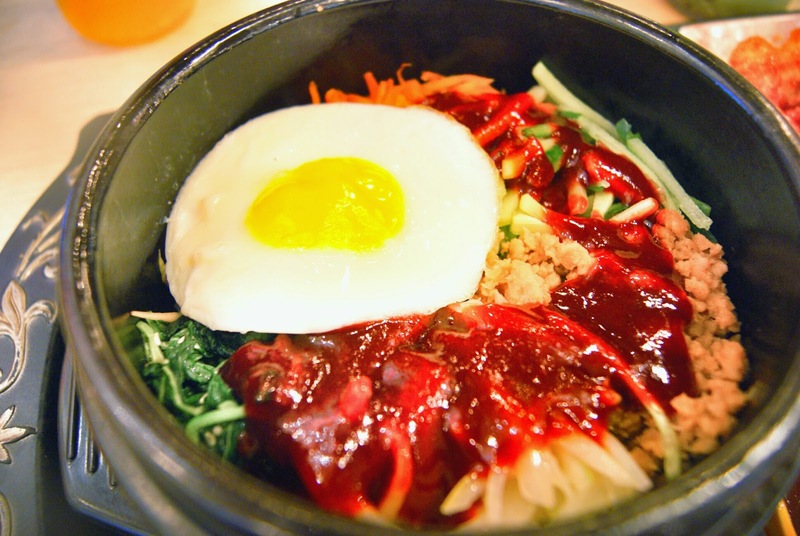 I must say, that this one is gonna be my fav dish at Mujigae and become one of my must have list item. I love the combination of the rice, vegies, minced beef, the perfect sunny side up with runny egg yolk and drizzle with Gochujang and sesame sauce, uh so damn good !!! The vegies add some crunchiness texture to it and the sauce make it so yummy, i like the sesame oil hint on it, the gochujang sauce is spicy but not too overpowering and sweet at the same time. 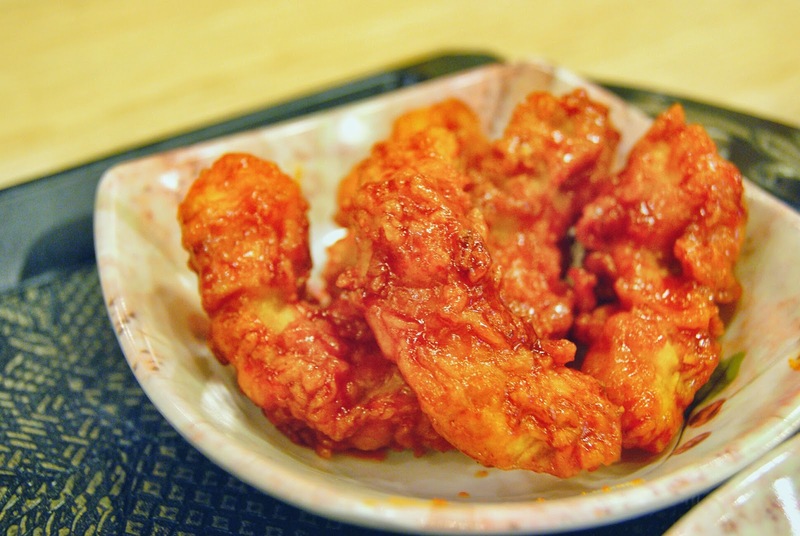 For the kimchi, i must say that i don't like that much, but the Korean Fried Chicken is totally win my heart. It tastes heavenly in my mouth, i love the crispness, the chicken is tender and juicy, and it's perfectly coated with the korean sauce, and i can't get enough with this. There's no something about the drinks, just like any regular drinks. The Citrus Honey is Refreshing, the sweetness from the honey is compliment for the sourness and give me new level of sweetness, they also give a lil bit of orange zest. For the Matcha, the balance of the bitter and sweetness was just right, and the red bean give a texture to it. 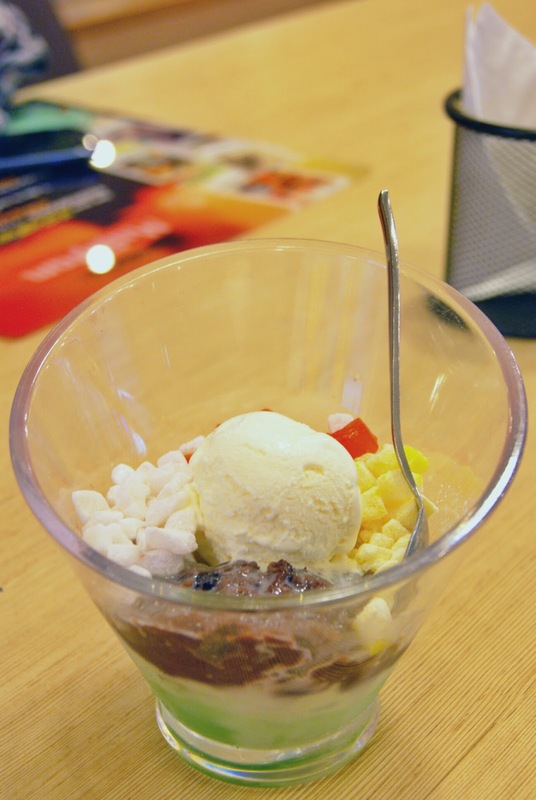 Pat Bing Su was basically a dessert with shaved matcha iced base, some milk, and topped with red bean, mochi, sweet cornn, jelly, and vanilla ice cream. The texture is similar to Es teler or Es campur, but with matcha flavor, the topping give a really fun texture in my mouth, according to the price, it's quite affordable for dessert dish like this. Having lunch at Mujigae was another new good experience for me, Mujigae has a wide range of food selection with affordable price and big portion, they bring the ambiance and the service to another level. I find the gadget services concept is unique yet efficient, you don't need to ask the waiter because all you need is all include in one gadget, you can order menu by yourself and the waiter will serve your food right away after you order, and if you need the bill the waiter will come to you with the bill. I was managed to make another visit to Mujigae to try another dishes from them which i found interesting and fits to my appetite. Don't forget to follow !